Sept 20, 1941 – “It was the finest thing I ever saw” was how John MacKenzie the one legged Captain of the “Pink Star” described the actions of second officer James Howard Cassidy, after their ship had been sunk by a torpedo attack. Former Marine Division Able Seaman #12314 James Howard Cassidy’s tale of self-effacing heroism has been lost in the annals of World War 2 and he was all but forgotten by his country. 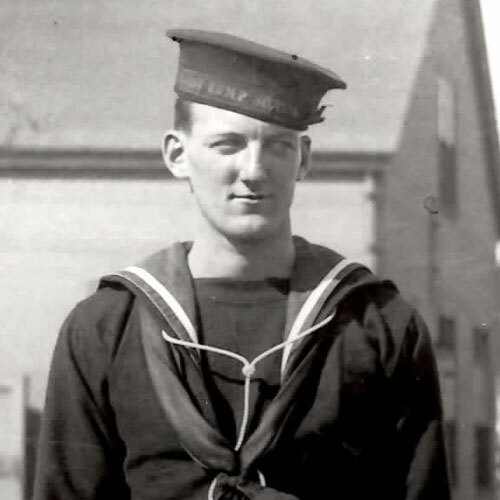 Born in Newcastle, New Brunswick, Cassidy enlisted as a mess boy on the “R.M.S. Bayhound” a vessel in the RCMP Marine Section in 1933 and re-engaged as an ordinary seaman in 1934. Photograph of the RCMP Marine Services vessel – Bayhound. He served in Marine Section until the outbreak of war in April 1939, when he joined the Merchant Navy as a third mate aboard the “Lord Kelvin” eventually ending up as the second mate on the “Pink Star” in 1941. The story of the Pink Star reads like a novel that should have been made into a movie. She was originally named the “Saga” when she was built in 1926 by Nya Varvs A/B Oresund, Landskrona in, Denmark. The 4.150-ton steam merchant ship was re-named the “Lunby” in 1931 for A.E. Reimann Stensved. In 1941 the United States government seized all foreign ships in US waters and transferred them to the US War Shipping Administration and the Lunby was assigned to the US Lines Inc. and re-named the “Pink Star”. The Danish crew was asked to continue to serve aboard her for the war effort, which they agreed to do because their homeland was then under Nazi control. Cassidy was assigned to the Pink Star after spending eight months at sea working on coastal vessels around the United Kingdom. He had survived previous attacks from U-Boats and German cruisers and recovered from wounds he received when he was struck by a shell fragment. Photograph of a German U-boat on the surface. On her final voyage the Pink Star was traveling in convoy SC-44 from New York to Liverpool steaming in calm seas 275 miles northeast of Cape Farewell off the southern tip of Greenland. 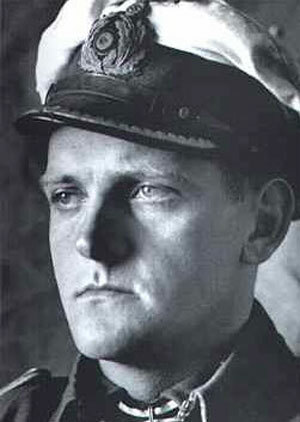 When German U-Boat, “U-552” captained by Erich Topp encountered her. Topp fired two torpedoes at the convoy but only the Pink Star was hit. She sank quickly after breaking in two in only eight minutes. Only 23 of the 36-man crew survived the five-hour ordeal before a British Man O War picked them up. Most of the survivors managed to crowd into the only remaining lifeboat. When Jim Cassidy made it to the life boat, his shipmates reached out to pull him aboard, but he realized that the lifeboat was dangerously overcrowded and that if he tried to climb aboard her it would likely capsize and endanger his shipmates. Cassidy, a strong swimmer swam around the boat for a couple of minutes and over the protests of his mates he then waved farewell to the crew and said “Go on, I’m all right, so long,” then turned and swam off into the dark, never to be seen again. Howard Cassidy’s sacrifice eventually faded away in to the annals of history like he did in the cold waters of the North Atlantic.